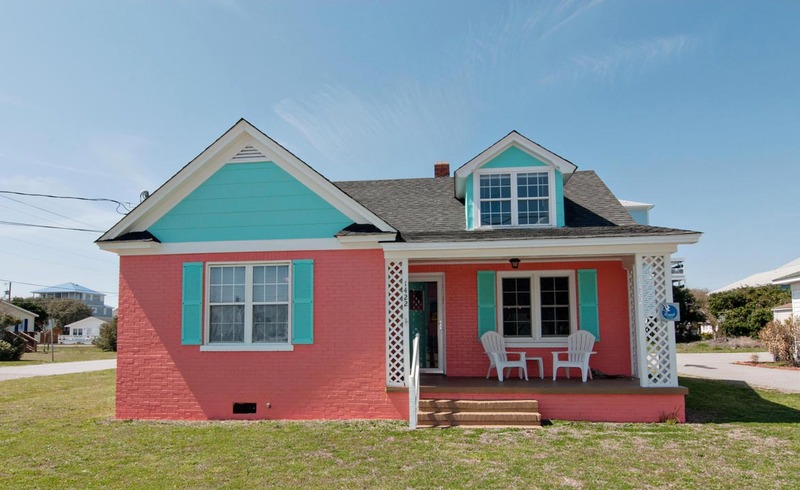 Robin Hood Beach Cottage is a timeless brick beach cottage built in 1941 and had a whimsical beachy modern twist added in December 2013 - March 2014! 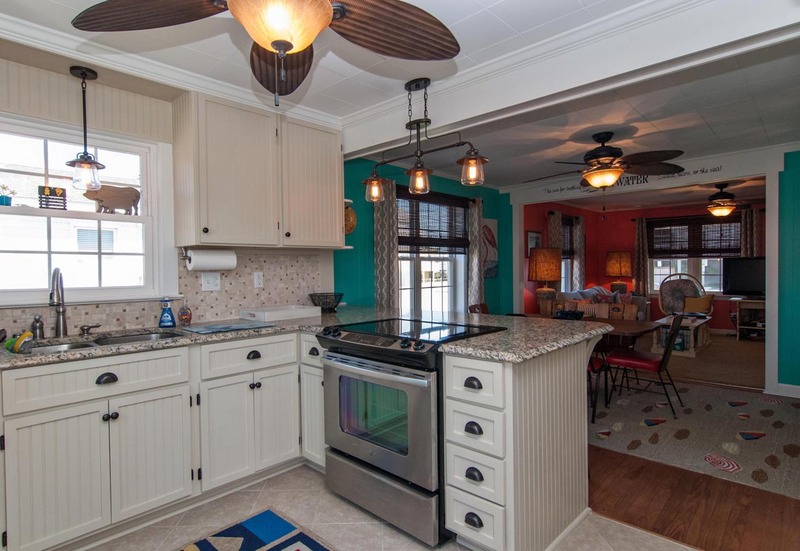 Reserve this cottage for your family vacation and enjoy what the Hood family have enjoyed since 1963. A family tradition worth starting and keeping! 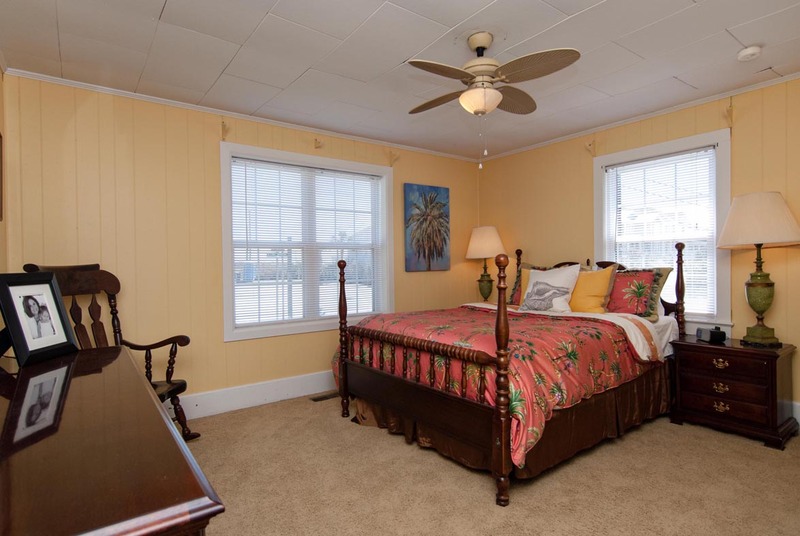 The cottage is located on a corner lot across the street from the ocean and public beach access with ocean views from upstairs and downstairs. It has a covered front porch with chairs to sit, relax & watch the world go by. 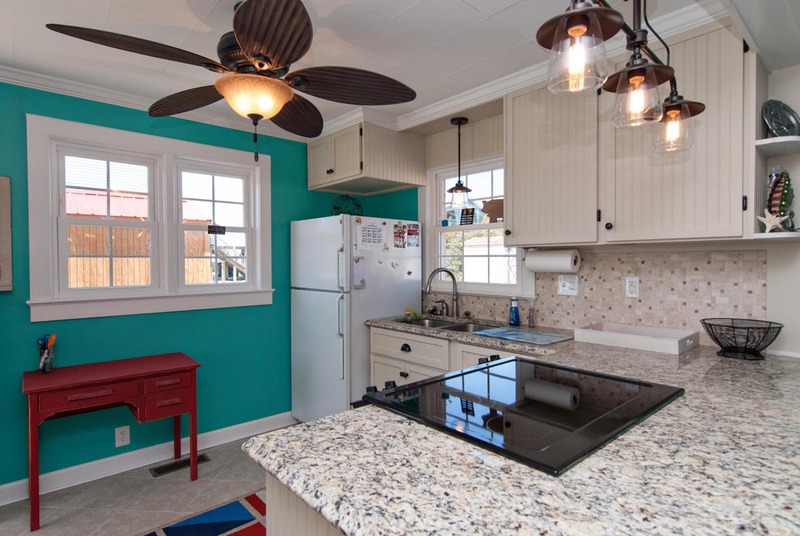 The renovated kitchen has custom cabinets with a granite countertop bar allowing seating for 4, new smooth stainless steel cooktop/oven, new small appliances, pots, pans, ceiling fans, lights and tile floor. There is no dishwasher but who really needs one. The kitchen, dining and living areas are all open to each other. 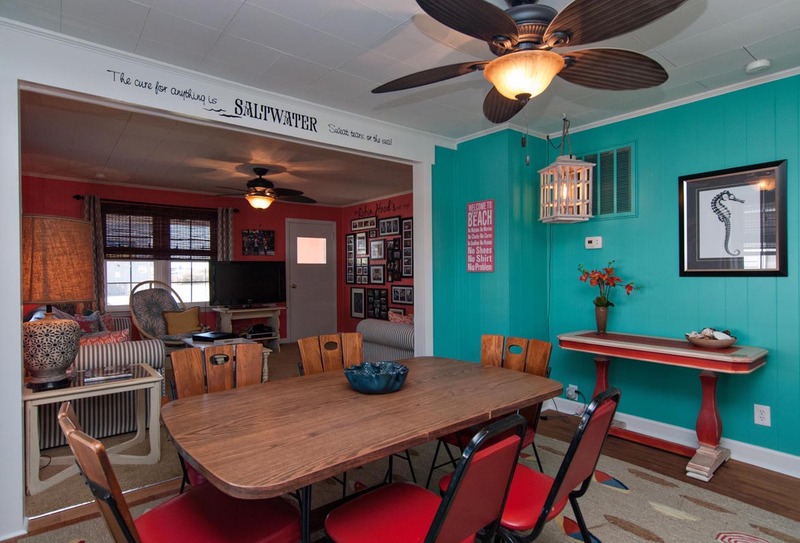 Beautifully restored original hardwood floors in the dining room with seating for 6 more. New carpet in living room and bedrooms. On this main floor there are 2 bedrooms and a renovated tile bath in the hall with washer and dryer. 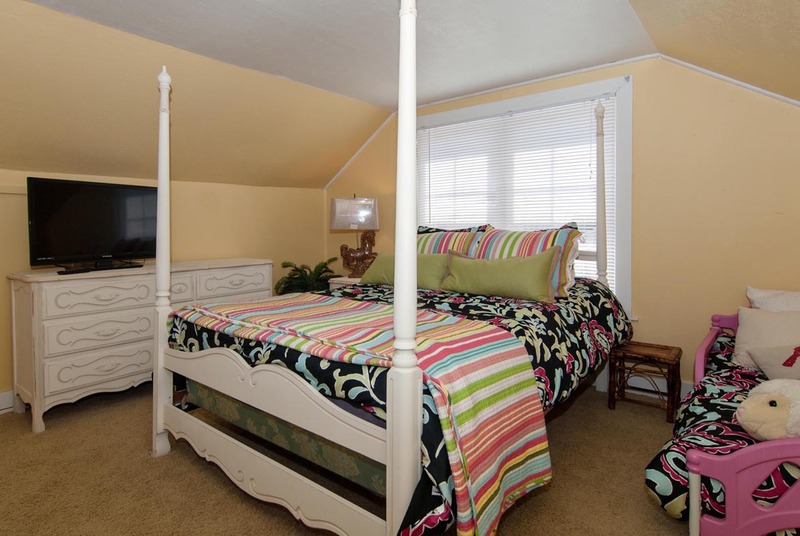 All bedrooms have 32" flat screen TV's along with a 40" flat screen TV & Xbox (bring your own games) in the living room. Wi-Fi, cable TV and Internet phone throughout the house. The cottage is set up perfect to vacation by yourself or bring your family and friends - it sleeps 10 (including the sleeper sofa in the living room). 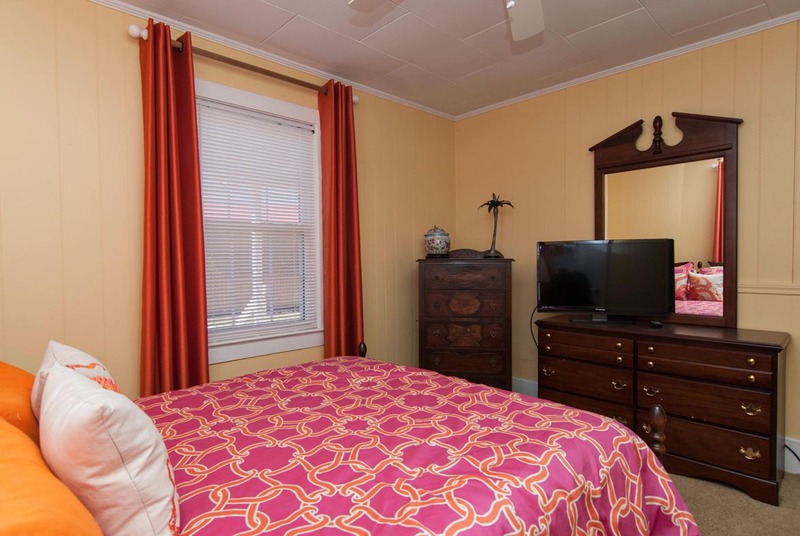 The upstairs has a private entrance right next to the backdoor, a private bedroom with full size bed, a toddler bed and a pack n' play as well as loft style area with a full size bed and sitting area with a newly renovated full bath. 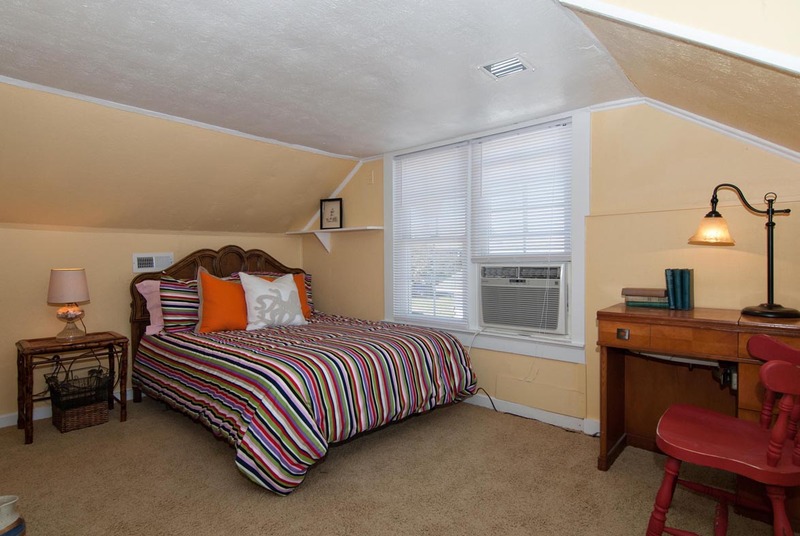 The Robin Hoods used the upstairs as a retreat for older kids or another family that wants to enjoy a little privacy. The outside offers ample parking, a fenced in area for your small doggie to enjoy (under 35 lbs. 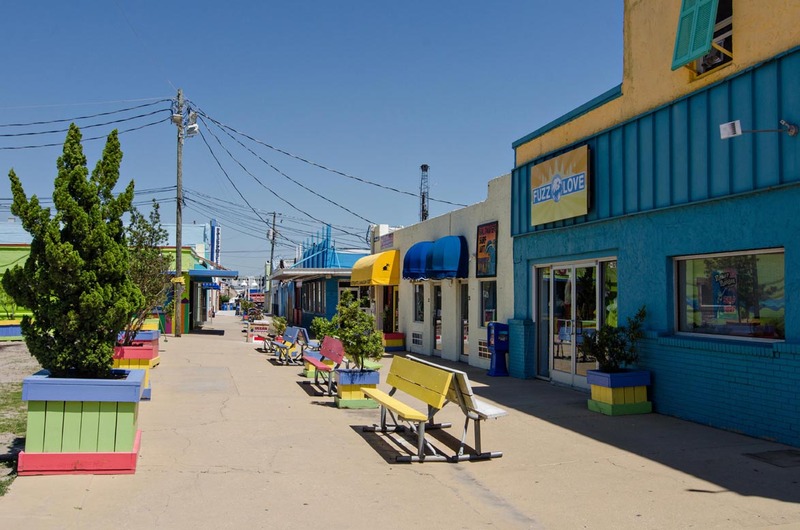 ), charcoal grill, outdoor shower & a storage building loaded with all the beach goodies (beach wagon, beach chairs, umbrella, buckets, shovels, blankets & boogie boards so you can create memories like the Robin Hoods have done for many years. The Robin Hood's have had four generations of family & friends vacationing at the cottage and still enjoy it today. When you come visit - it should feel just like home. If we are missing something just let us know and we will be happy to see what we can do to make it happen. Dog under 35lbs allowed with fee. The clearance for the upstairs is lower than your average ceiling. I hesitated to write this review, but I think it’s important for the owners to see so the necessary changes could be addressed. 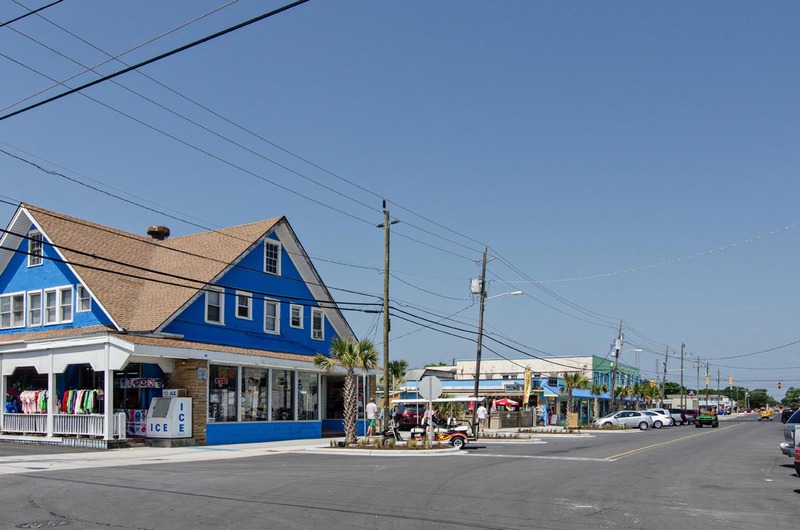 First, the cottage is in a fantastic location, right across the street from the public beach access. However, it is on a very busy street, so parents with little ones should keep that in mind. When we checked in, the cottage was extremely dirty. There was still sand on the kitchen floor, there was a strong smell of pet urine by the front door, and there was actual dog feces under the master bed. The carpet is in dire need of cleaning, especially in the living room, along with the kitchen rug. I immediately called the agency who offered to rectify the situation immediately. After an almost 5 hour drive arriving close to closing time, we chose to clean it ourselves and make the best of it. In some of the rooms the ceilings were in very poor shape, sagging in some areas even. What was most concerning is the “private entrance” upstairs. Guest should be made aware, especially those with children staying, yes there is a private entrance, but this part is completely separated from the house. This was difficult at night when older children had to use a key to get into the rest of the house. When we arrived the oven did not work, and a strong sulfur smell came from the upstairs bathroom. Again, the agency agreed to send someone out to address it. There is no dishwasher, and nobody wants to wash dishes on vacation honestly. Since we couldn’t use the oven, we just decided to enjoy the local restaurants! For the price we paid for the week, I think there needs to be some updating. It is a quaint house that has lots of character, but for well over $2000 for the week the condition of the home needs to reflect that price. I also think the cleaning agency should be reviewed, as we were asked not to put anything in bags for cleaning except sheets and towels, and the other bedding was not very clean. Again, just not what we expected. Hi Stacy- thank you for your honest feedback. I am sorry that the unit was not in top shape for your arrival. However, I am glad to hear that we offered to fix the problems. We will certainly bring this to the housekeeping supervisor's attention, as your family should not have experienced these issues. You are right about the private entrance- it is located just outside the kitchen door on the back stoop. As for the linens, a separate vendor rents the sheets and towels. We use a third party for our linens, so the owners' personal items (rugs, mats, bedspreads, shams, etc.) do not go back to that vendor. Our housekeeping and the linen vendor are not part of the same company. We appreciate your comments and hope you enjoyed your stay overall! It was like being at Grandma's house. The cozy little house was across the street from the beach with the front porch we sat on and watched the cars. I cooked dinner a few night for dinner around the table, showed my daughter how to make homemade chicken salad,and we spent nights either playing games or watching movies. The beach was less crowded than other beaches we have been to and the water was clear enough to see in. They even allowed our dogs to join us on vacation, I just wish we could have taken them on the beach. 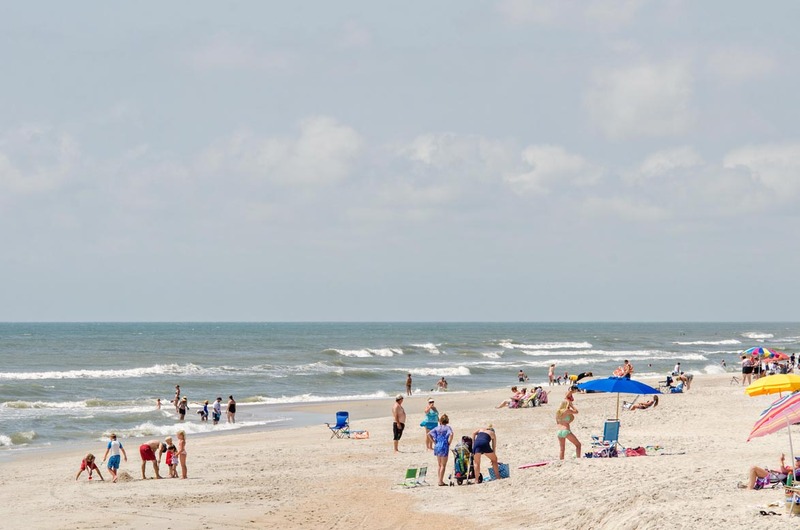 Beach house is located on a busy road and is closer to the Kure Beach pier than the Carolina Beach boardwalk. The beach access is excellent, but in my opinion, a car or bicycle is necessary to reach the piers, restaurants and shops.. The main floor is very nice, kitchen is functional and the bath has a tiled walk-in shower, flat screen tv's throughout. 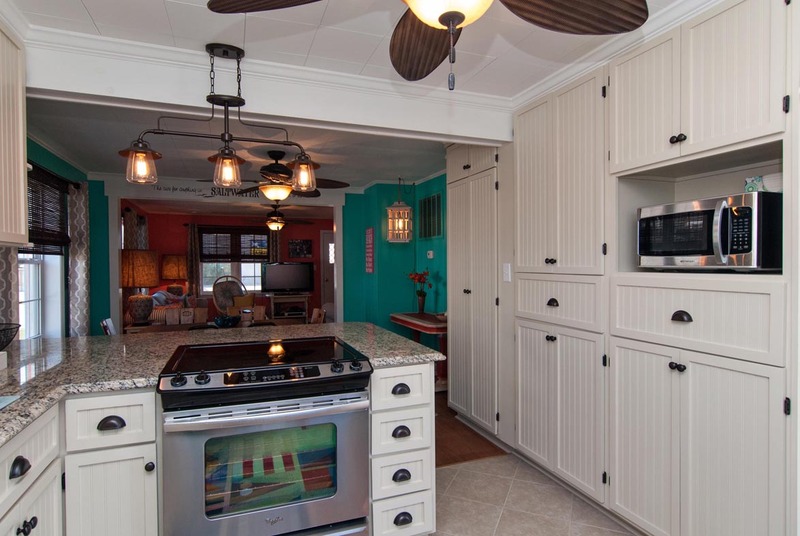 There are numerous family photos on the walls which I haven't experienced in other rentals, personally I would have preferred something beachy instead. The upstairs, which has its own entrance, is great for teenagers or young adults. I say this because the stairs are steep and the ceilings are lower than downstairs. 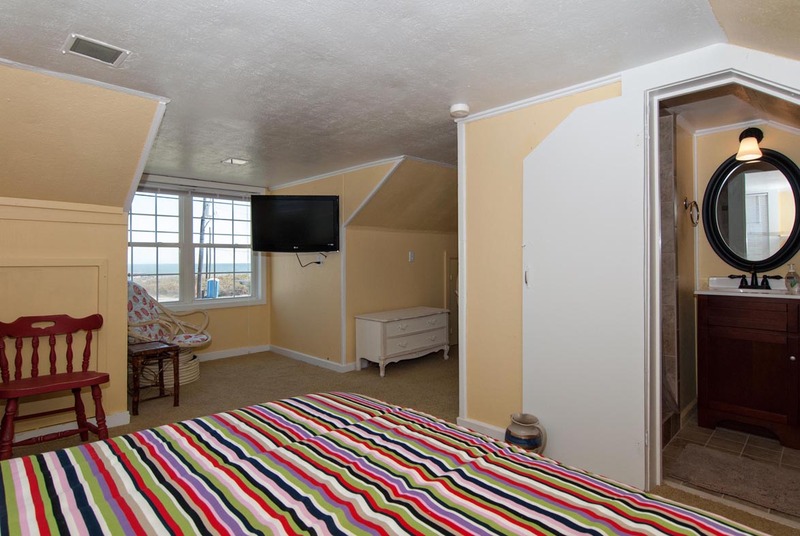 There is a nice bathroom up there and flat screen tv's in both bedrooms. Pet friendly, which was very much appreciated. There is a small fenced in area in the back, it's a few steps from the back door. The neighborhood felt very safe and well kept. There is a large hotel across the street, not much of a view but the front porch is nice for people watching. Again, the road is busy so children and pets need supervision. The house was very nice however it would have been nice to know with 4 small children that they only had showers no tubs. Also the key for the shed in back that had all the beach supplies someone before us had broke the key off in the lock making it difficult for us to get in. Overall we had a great time and the house is very nice. The cottage is nicely decorated to match the exterior color of the house. 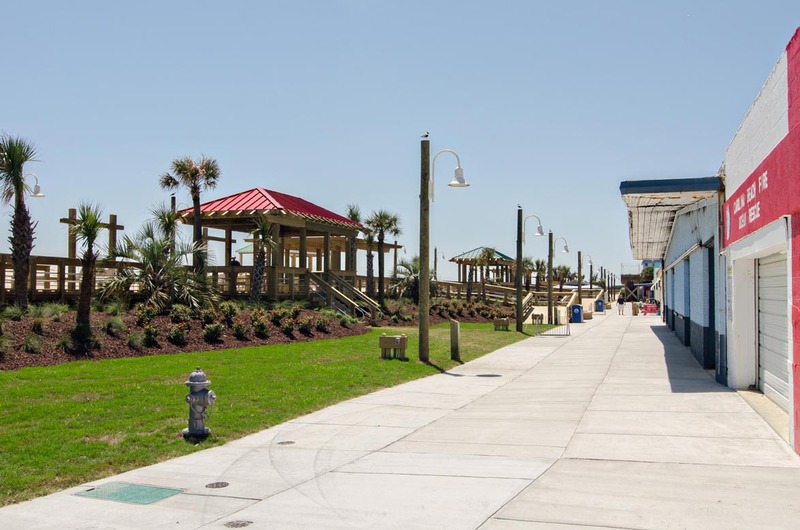 A great place to relax or walk across the street to the beach! Bryant Real Estate makes the rental process a very easy & painless one. The were very accommodating. 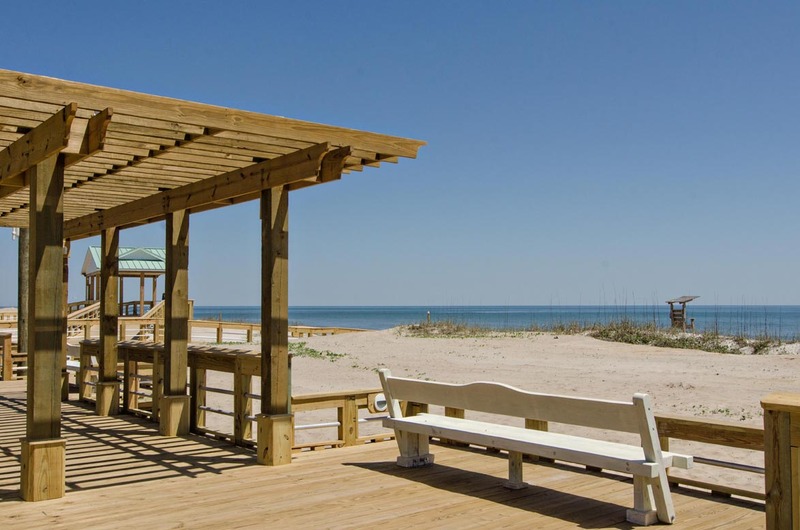 Porsha- We are glad to hear all was good during your week at the week at the beach! Hope you'll visit again soon! Our vacation rental experience was absolutely great. The location to the beach was very easy. The rental was clean and the customer service was spot on with anything we needed help with. We always enjoy sitting on the beach of swimming in the ocean. Susan- Glad to hear everyone enjoyed their week at the beach! Hope you'll visit again soon! The house is much bigger inside than it appears. Lots of room for 6 adults. The three 20 year old boys stayed upstairs and they felt like they had their own apartment, it was a little hot up there so not sure how it will be in July when really hot. Another window A/C unit would help. 4 BR with beds and a couch. House well equiped, W&D a plus. No dishwasher but no problem. Lots of chairs, toys and a wagon in shed. We had a dog so the fenced in area was nice however the dog did wiggle out one morning underneath the shed. We usually stay oceanfront so I thought I would be disappointed but was not, the hourse is right across the street and the beach access is directly in front of the house. 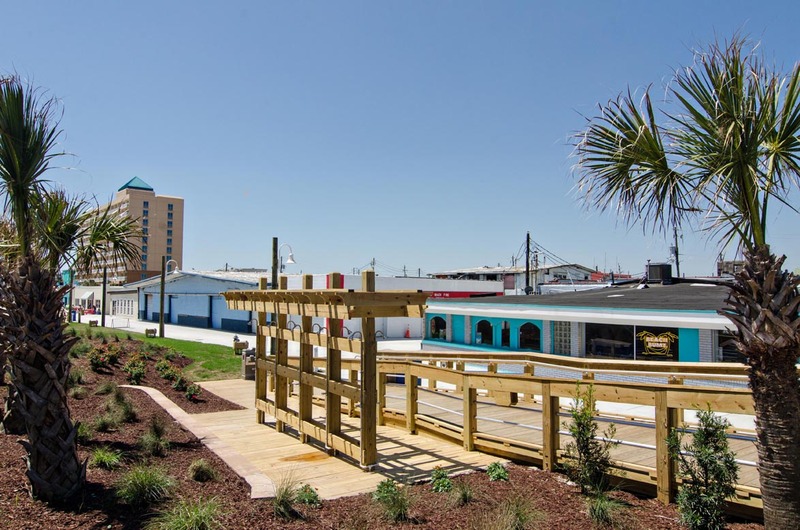 Walkable to the boardwalk area and Kure Beach. Ample parking. Nice porch. Lots of kitchen items. Can't think of anything I'd change except to stay longer!! Such a cute house!! It was great loved the house and the location.